Blood on the Tracks debuts October 1st! Friday, September 30th 5-7. Hooked on Books (12 E. Bijou Street, Colorado Springs). An evening soiree with food and wine, a reading, and a chance to mix and mingle with the local arts crowd. Please RSVP Hooked on Books at 719-419-7660 or email Jim at jimciletti@comast.net, Easy parking is available in the City Garage right around the corner. Saturday, October 1st 11-2. Hooked on Books (12 E. Bijou Street, Colorado Springs). Ann Myers (Bread of the Dead: A Santa Fe Cafe Mystery) and Barbara Nickless (Blood on the Tracks) will be signing their books. Light refreshments provided. Saturday, October 8th 6:30 – 8:30. Denver BookBar (4280 Tennyson Street, Denver). 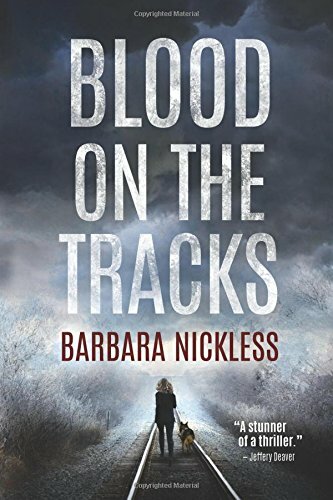 Please join Barbara for an evening of hors d’oeuvres and wine to celebrate the launch of her debut novel, Blood on the Tracks. Stop by for a chance to meet the folks from Mountain High Service Dogs, including the handsome German Shepherd PTSD service dog, Count Nathaneal Athos. October 1, 2016 at 2 pm: Cynthia Kuhn will participate in a book event at the Parker Library (20105 Mainstreet, Parker, CO 80138). Registration is required. 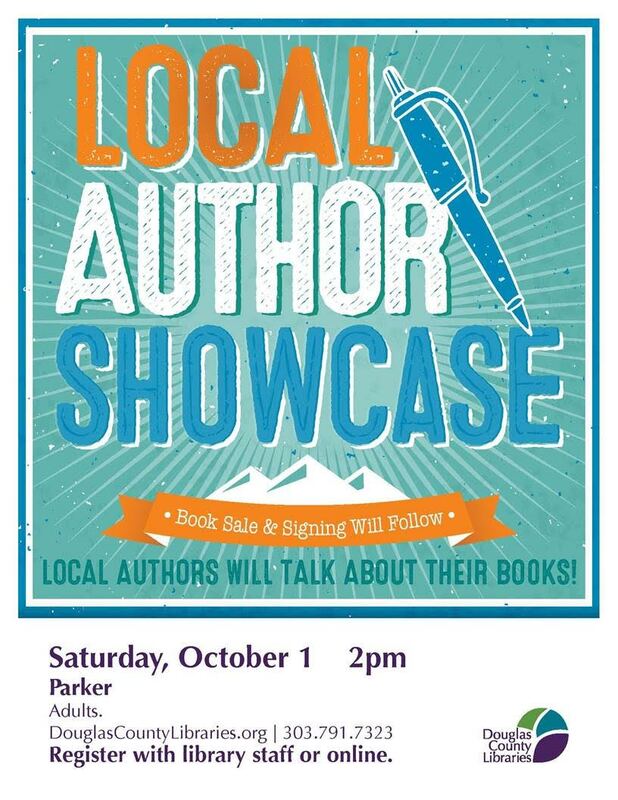 For more information, please visit http://douglascountylibraries.org/Events/local-author-showcase-october-2016. Jennifer Kincheloe’s The Secret Death of Elizabeth Bonsor, in which a police matron has to solve the murder of Elizabeth Bonsor after finding her body squashed into a truck in 1908 LA Chinatown, sold to Dan Mayer at Seventh Street Books, in a two-book deal, for publication in Fall 2017, by Josephine Hayes at The Blair Partnership (NA). Colleen Collins’s romantic-mystery “Mistletoe and Murder in Las Vegas” is a finalist in the 2016 I Heart Indie Contest! Inviting all members: Sisters in Crime-Colorado is taking a field trip to The Clue Room on October 15, 2016! For this event, you need to make your RSVP directly through The Clue Room website…please check your email for instructions and details. Sisters in Crime-Colorado member Stephanie West Allen will be appearing at the Women Writing the West conference in Santa Fe, NM, on October 15, 2016. Workshop and Description: “The Playful Writer: Valuable Lessons from When We Were Kids.” Play has many benefits for writers, both for the quality of what they produce and their process of writing. Several benefits will be presented, including relevant brain science. Practices to facilitate benefits of play will be demonstrated. Attendees will design individual play plans that fit their preferences and goals. For more information, visit the Women Writing the West web site.